Burst mode on iOS was introduced together with iPhone 5s. It is great, but there was something missing. 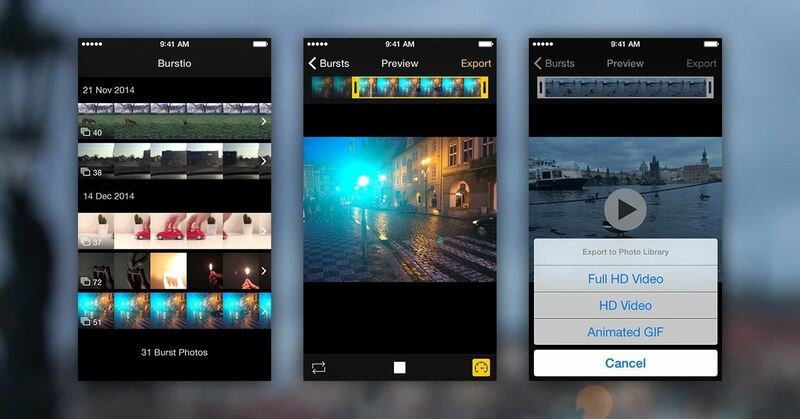 Do you always swipe thru burst photos to animate them? Did you want to send them to your friends all together? That's where Burstio comes in. With this app you can preview all your taken burst photos, set playback speed, and export them into HD videos or animated GIFs. Exported videos or animated GIFs are then save in your Camera Roll and can be shared with your friends with a message or an email.